Tool used for tucking weatherstrip in hard to reach places and when additional strength is needed. 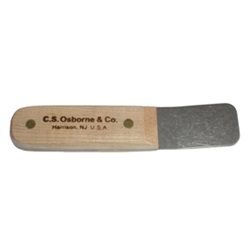 Durable, with a slightly curved blade that features finished corner edges. Wood handle. 7.5" long with 2.625" blade.